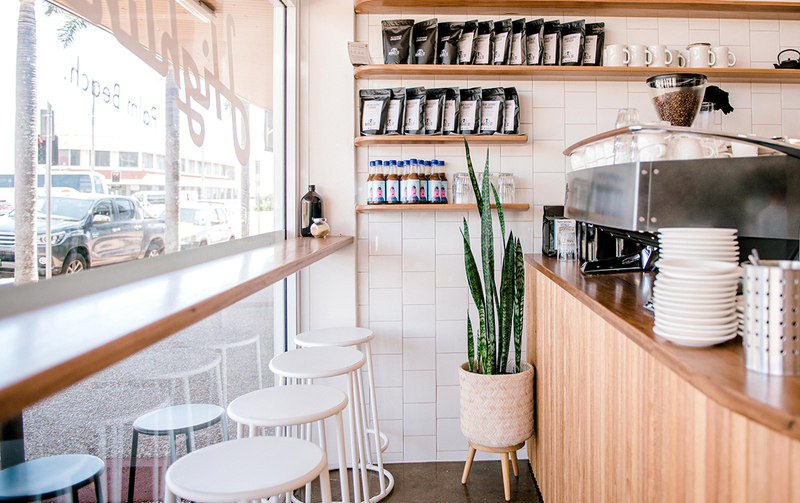 The Gold Coast has no shortage of good coffee spots, but Highline, which recently opened its doors in Palm Beach, is raising the bar with its top-notch produce. Taking up residence in the former Barefoot Barista venue (don’t panic they’ve just moved across the road) Highline is the perfect coffee retreat. The space has had a total makeover and now boasts a 70s coastal vibe with crisp white walls, blonde timber and touches of pastel pink. The venue, although compact, is light and airy with ample seating out the front and high tables and chairs inside. And we’ve even heard there are plans to expand in the future. Now on to the most important part… the menu. Owner Tim Casagrande, who has spent much of his career in the coffee industry, will be brewing quality cuppas using Byron Bay’s Marvell Street beans. 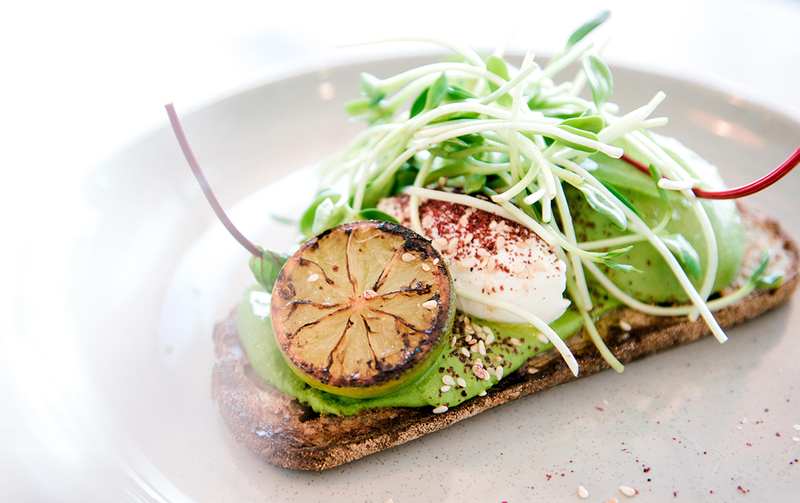 While concise, the brekky and lunch menu is bursting with flavour. All of the ingredients are spray free and sourced locally from Northern NSW producer Farmer Foster, so you know you’re only getting the freshest of fresh dishes. While Highline absolutely nails classic breakfast concoctions like a bacon and egg roll and avocado on rye (with green hummus, labneh and za'atar), they’re also producing some out of the box eats. We recommend the melt-in-your-mouth Japanese pork curry jaffle with mozzarella, and the oh so pretty buckwheat waffle with strawberries, plum, coconut and cacao. And while you’re at it, go ahead and order the toast with tomatoes, pickled nectarines, burrata and basil too. Yep, Highline isn’t just any run of the mill coffee shop, this place is packing a serious punch. It’s open seven days a week from 6am.